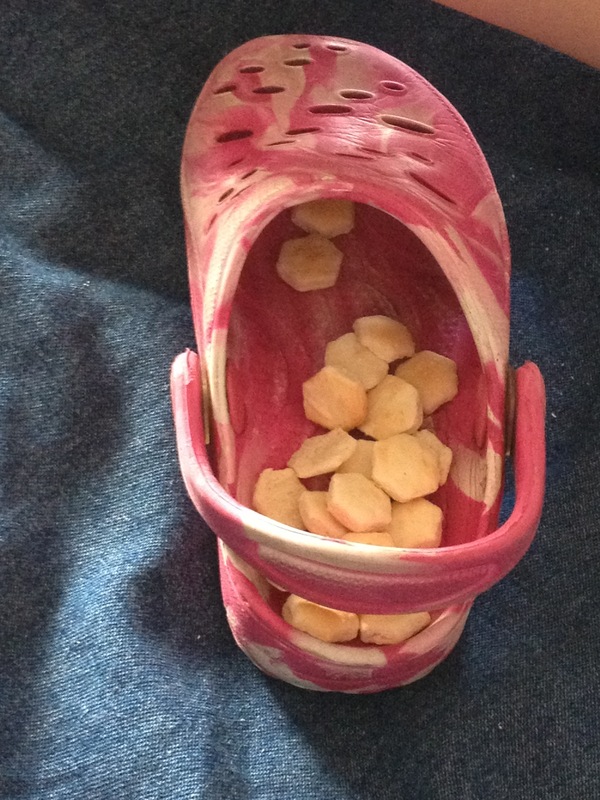 Something I never thought I would hear myself say: This is Mumma’s snack, eat your snack out of your shoe. But I guess it is better than the bite of banana I found in her purse pocket. I was too grossed out to take a picture of that. This entry was posted in Baby Person and tagged BP, motherhood, Parenting, Photography. Bookmark the permalink.